This is a great tool to help you get started with this new version of Excel. First of all, if you want to install Office 2013, you will need either Windows 7 or Windows 8. Previous versions of Windows are not support. When you install Office 2013, you can either do a side-by-side installation or upgrade from previous version. If you do a side-by-side installation, you can run either Excel 2010 or Excel 2013 on the same machine. 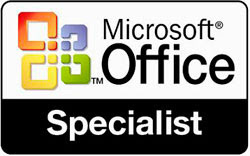 If you upgrade, you can do a full upgrade or just remove one or more Office 2010 applications. After the installation, the existing Excel files will open on the new Excel 2013 version. If you want to open file on the Excel 2010 version, you should open Excel 2010 and then open the files by going to the File-Open menu.